“JŠgermeister is ready to rock once again with the latest installment of the JŠgermeister Music Tour! Stone Sour will lead the charge with their first headlining tour in support of their new album COME WHAT(EVER) MAY with special guests Lacuna Coil and Shadows Fall. The Tour kicks off on March 23rd in St.Paul, Minnesota. Fresh from their sold-out European/UK tour, Grammy-nominated Stone Sour is primed to capture the attention and the hearts of the rock Ôn roll masses. The band is a multi-faceted hard rock force of nature whose twisting melodies run the gamut of emotions. Stone Sour were the band to see at last summerÕs Family Values Tour where they performed with Korn and The Deftones, and, more recently, the band toured with Disturbed to rave reviews. Their latest album, Come What(ever) May (Roadrunner), is certified gold and on its way to platinum. Fronted by Cristina Scabbia, one of hard rockÕs most admired vocalists, Lacuna Coil has firmly established itself as a force not only in their native Italy, but around the world. After first making waves with Comalies (Century Media Records), powered by the hit singles ÒSwampedÓ and ÒHeavenÕs A Lie,Ó and backed by aggressive touring that included a breakthrough second-stage slot on Ozzfest, the band returned in 2006 with the acclaimed Karmacode, which reached the Billboard Top 30. 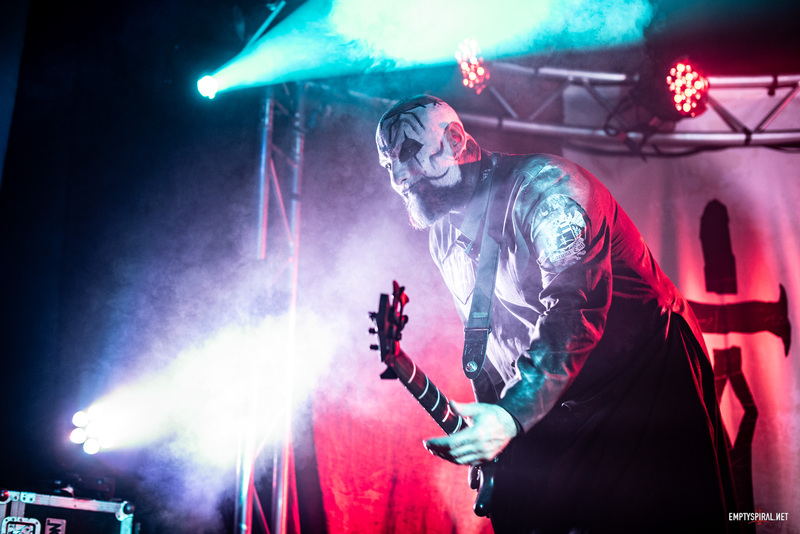 Following a sold-out spring tour alongside Rob Zombie and a performance of Karmacode’s debut single ÒOur TruthÓ on ABCÕs Jimmy Kimmel Live!, Lacuna Coil returned to Ozzfest Ð this time, on the main stage, where Scabbia became the first female to perform in a decade. Following an amazing year that brought forth a Grammy nomination, a spot on the main stage at Ozzfest, 250,000 sales of their latest album, and much more, Shadows Fall refuse to rest on their laurels. The band is making their Atlantic Records debut with the release of Threads of Life. The hotly-anticipated release, produced by Nick Raskulinecz, will coincide with the Tour. The album showcases the bandÕs roots, which were built both on thrash metal and undeniable, crushing melodies. The Tour will rock through May and each show will be rounded out with a local JŠgermeister band. Going on six years, the JŠgermeister Music Tour is bigger and bolder than ever, becoming THE hard rock show to see. Produced by Live Nation, past Tours have brought Disturbed, Slayer, Slipknot, Staind and Hatebreed, to the masses, and now the Tour continues its hard rock charge. Fans will get the chance to see some of the biggest acts in rock and receive some of the sweetest swag around, including great JŠgermeister prizes and giveaways like the JŠgermeister Compilation CDs with live and unreleased tracks from JŠgermeister bands as well as plenty of JŠgermeister shirts, hats, and more. Other prizes and giveaways from sponsors include custom tour prizes from Schecter Guitars, Peavey Electronics, and Coffin Case. No dates are confirmed at present but we will post them as soon as possible!